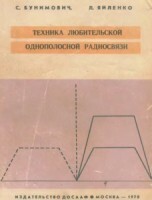 GK-71 (ГК-71) is a somewhat similar (but not the same) to the famous 813 by RCA. There was another soviet replica of RCA 813 - GU-13. GK-71 (ГК-71) has a narrower frequency range and a slightly less gain than, say, GU-13 tube, but there are some advantages - it was dirt-cheap and has a terrific endurance (resultant of massive graphite anode block and durable heavy-duty construction). 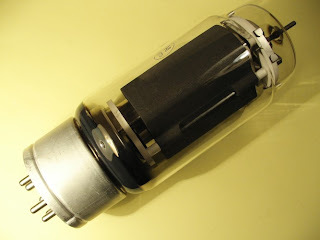 Possible, GK-71 was the most popular power tube in the AM pirate's anti-society. I'm not quite sure, I have no statistical data of pirate's preferences, but all of my unsocial friends was a GK-71 boosters. 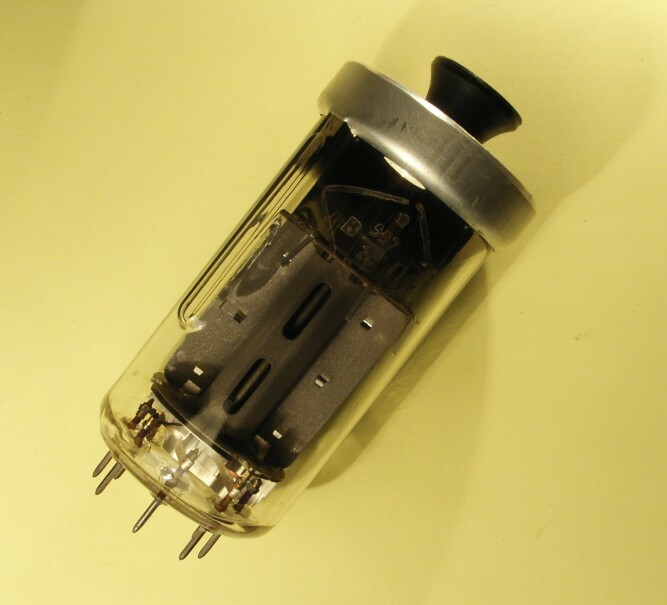 At the other hand, this power pentode was a "Full Legal Limit" tube to the HAM Radio amateurs and one GK-71 final have to be approved without power measuring. I've heard rumours about the one GK-71 tube multy-megawatters, asbestos glove for quick tube replacement etcetera, but reality is slightly less wondrous - 350 watts from one tube without overheating, up to 450-500 watts if you are out-and-outer.